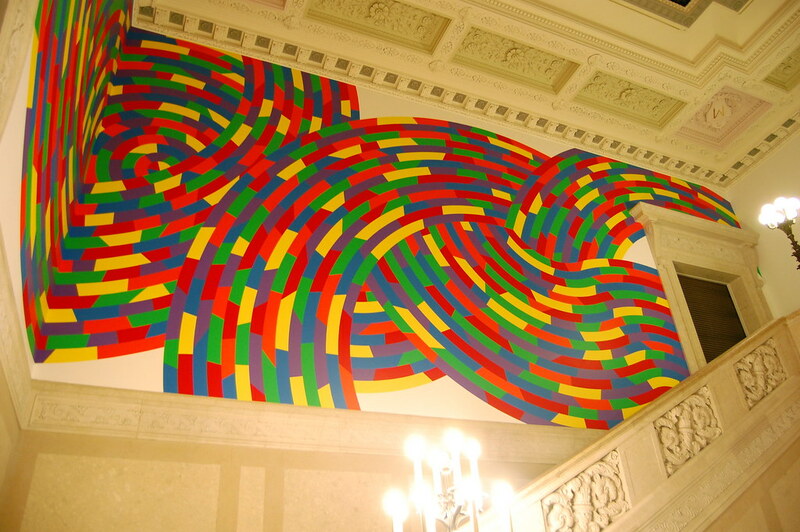 "Certainly Sol LeWitt is far and away the greatest artist the City of Hartford and surrounding area has ever produced. 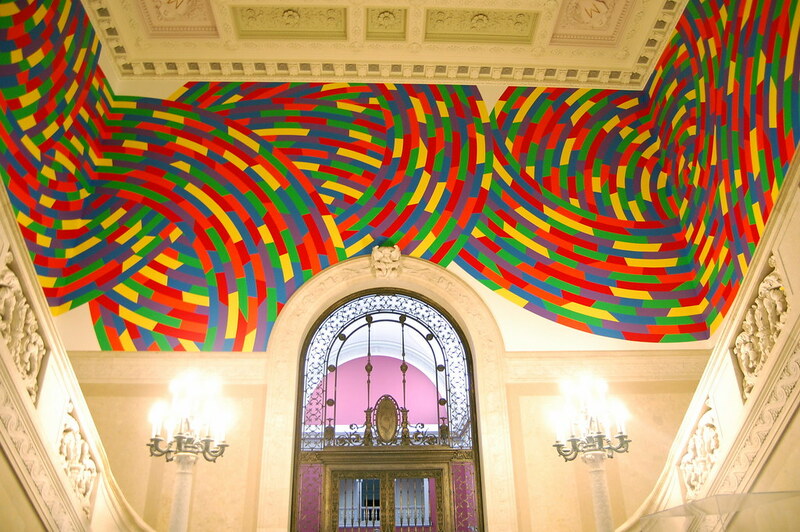 In so saying, I am most certainly aware of the work of Frederic E. Church, a betterknown artist in certain circles, whose large and currently very expensive canvases are simultaneously vulgar and overworked, without a trace of poetry or genuine feeling for nature." 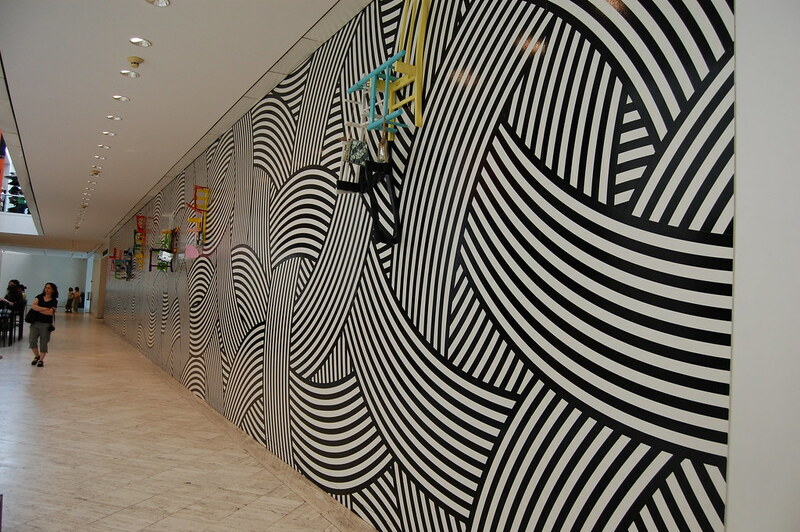 The Wadsworth happens to be a little over two hours from New York by car, making it a perfect place to stop for a lengthy break on a four-hour drive to Boston, where the Museum of Fine Arts just so happens to have a Jim Lambie installation on view that riffs on LeWitt’s design. 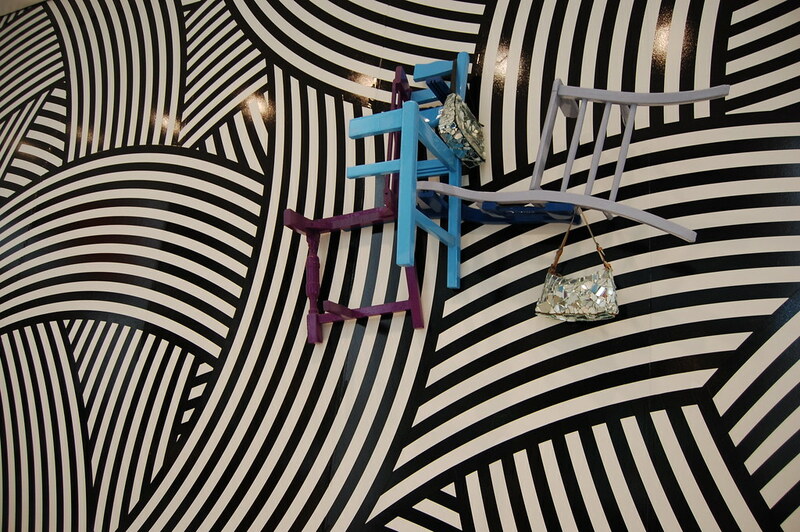 The Lambie, which is made of vinyl tape, went up in November 2007. 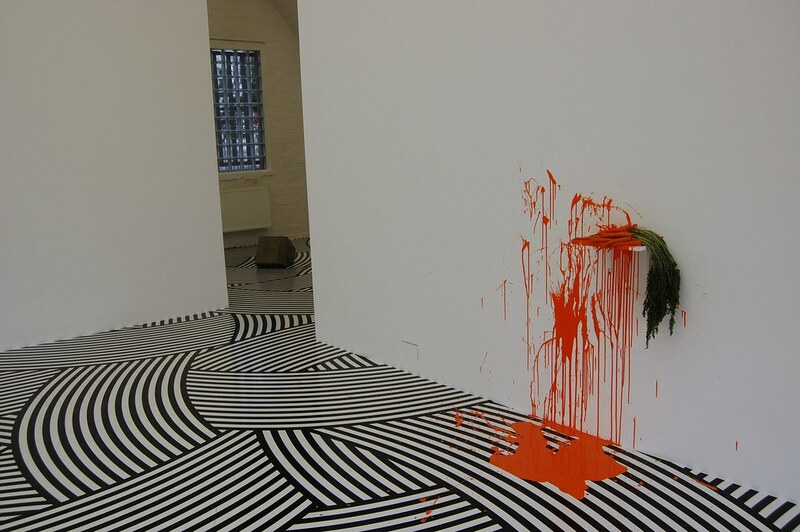 Less than a year later, the artist used the design for the floor of his show at c/o Atle Gerhardsen in Berlin.